Web Design Inspiration ... just in time for Valentine's Day! With Valentine's Day weekend right around the corner, you may be scouring the web for ideas on how to celebrate with your loved one. While we can't tell you what to give the love of your life, we can show you some of our favorite web sites appropriate for the cupid in you. 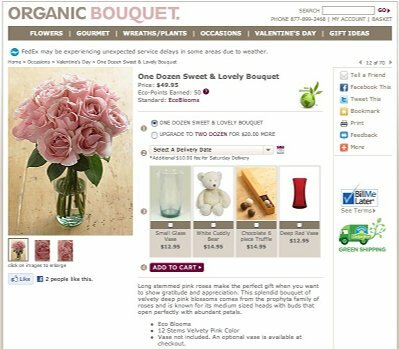 Organic Bouquet offers an ethical twist to typical Valentine's Day flower shopping. Organic Bouquet sells organic and Fair Trade flowers for all seasons and delivers them right to your door like other similar online retailers. The site features soft, feminine colors and a user-friendly e-commerce layout for ease of shopping. It also makes it simple to share items with friends online and sign up for their newsletter - all important ways to keep you shopping with them even after the holiday is over! 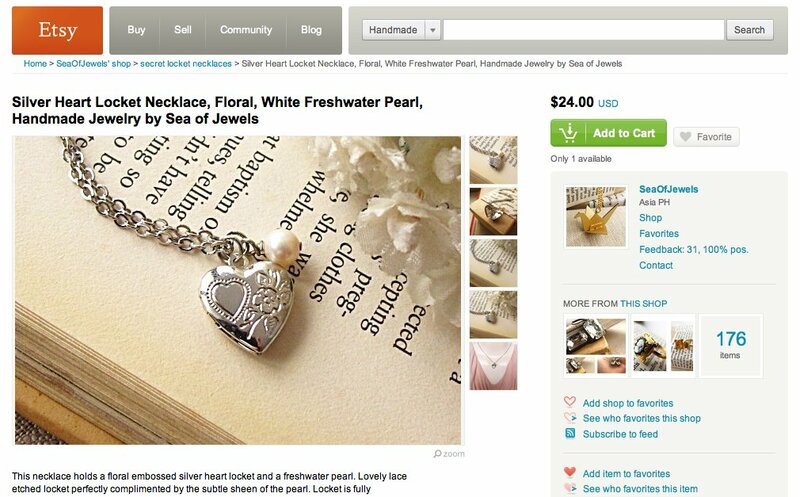 Etsy is quite simply one of the coolest shopping sites ever. Etsy brings together artists, antique dealers, and other creative types from all over the world in order to sell their goods to the masses. From the generously-sized product photos to customizable user profiles, suggested artisans, and other tidbits that make the site feel like home, Etsy's the place to go when you're looking for a unique gift for your loved one that you won't see in every other house on your block. 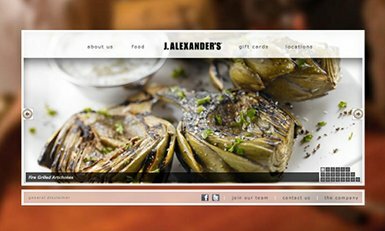 Americana restaurant chain, J. Alexander's, puts its biggest selling point front and center on its web site: the food! Visitors may scroll through endless, mouth-watering photos, purchase gift cards, and find a location nearest them. If you've never been to J. Alexander's but are looking for a romantic night out, the J. Alexander's web site certainly does a good job convincing you it's the place to be! 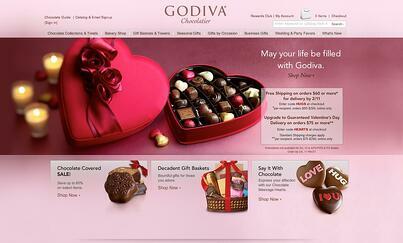 Ah, perhaps the quintessential Valentine's Day gift: the Godiva chocolate. The Godiva web site utilizes pinks and reds, hearts and chocolates, and, most importantly, shipping and delivery information as soon as you arrive at the site so that if you're not yet convinced Godiva is the right gift for your sweetie this year, you will be soon enough! Feeling a little adventurous this year? 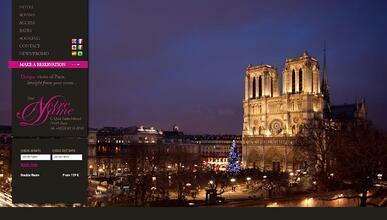 How about a long weekend in Paris? The web site of the Hotel Notre Dame in Paris, France sets the vacationing mood with amazing scenery and the promise of endless, luxurious perks on your stay away. The web site makes it simple to check rates and room availability in multiple languages. Got any other favorite Valentine's Day-related web sites of your own?